Chocolate is just one of those things that makes us happy. FACT! It’s actually scientifically proven too!! OH YOU BETCHA. Chocolate is a very nutritious source of antioxidants which are good for our inner health, skin, brain function and hormones. Personally I don’t need much more reason than that and that’s why I rarely go a day without some form of chocolate. And why should we? As someone with an ‘all or nothing’ streak in their body I am not the greatest at self control (or portion size mind you) and the more ‘artificial’ the chocolate… the more addictive it is. Our body gets a taste of the sweet sugar and we simply cannot stop. Ever gone to the pantry to have ‘just one piece’ and ended up demolishing the whole block? yeahhhhh about that!! This is why a lot of health magazines and websites/blog recommend dark chocolate because the higher the cocoa/cacao content the lower the sugar and therefore the better it is for us. Lindt dark coconut intense anyone?? YUM or any of the intense dark Lindt range for that matter. Although the lime flavour… hmmmm interesting!! 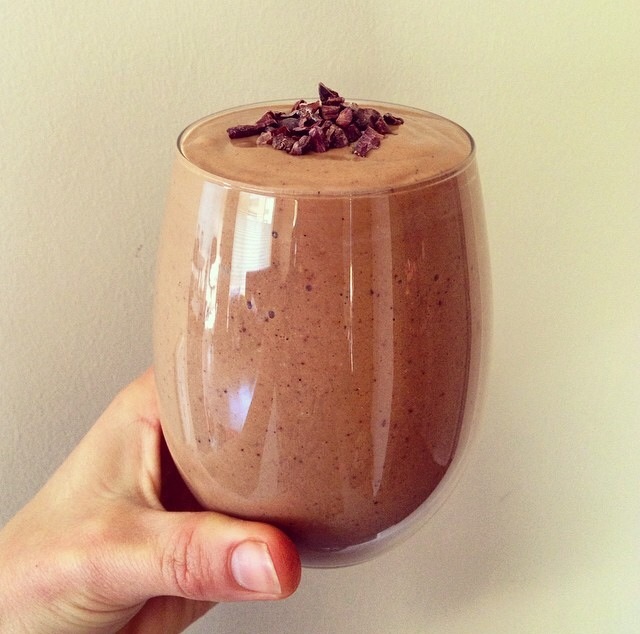 Here are my 5 favourite chocolate fixes for ANY TIME of the day. Any one of them is going to make you feel all gooey inside and satisfy the chocolatey goodness you are craving without causing a blood sugar insulin spikes followed by a lethargic slum. 2. 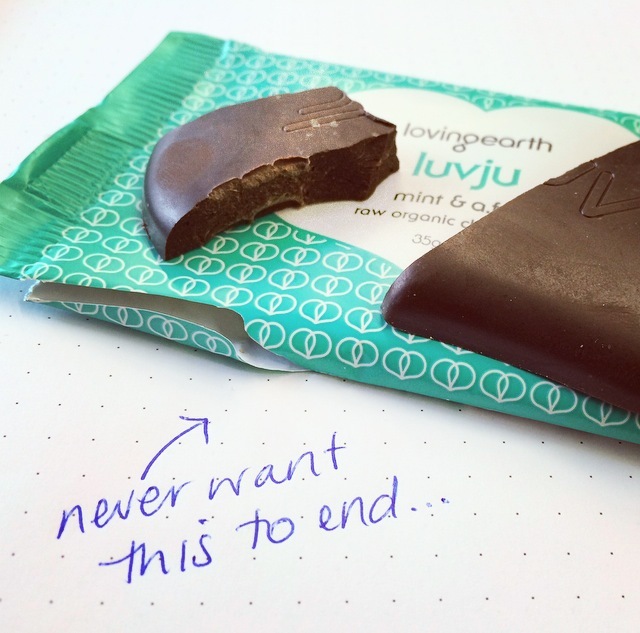 Luvju organic raw chocolate by the amazing company Loving Earth. Website HERE. YOU HAVE GOT TO TRY THIS!!! I bought a whole box and then some – it was the most exciting (and healthy) delivery package I have ever received!!! And they are about to bring out their new 85% range!!!!!! 3. 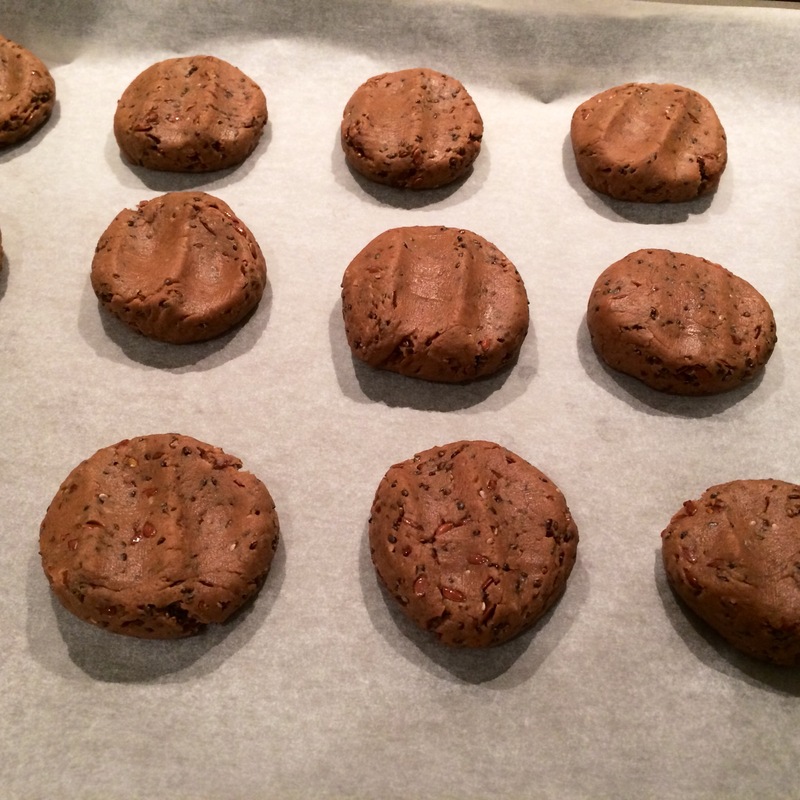 Cacao Chia Cookies – Recipe to come in the near future! stay tuned! Place all ingredients into a food processor or Vitamix and blend. 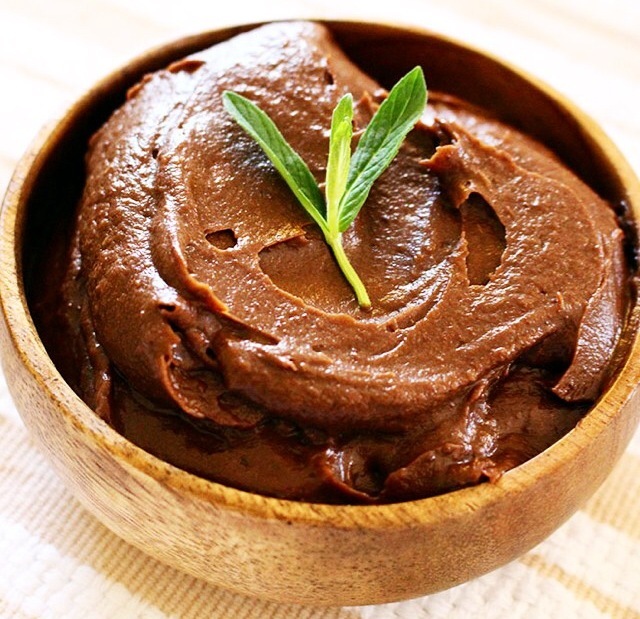 Roll into medium sized balls and cover in extra cacao powder or coconut if desired. Refrigerate until firm! Can store in fridge for up to 4 weeks and freezer for 3 months! Trust me – they WONT last that long! 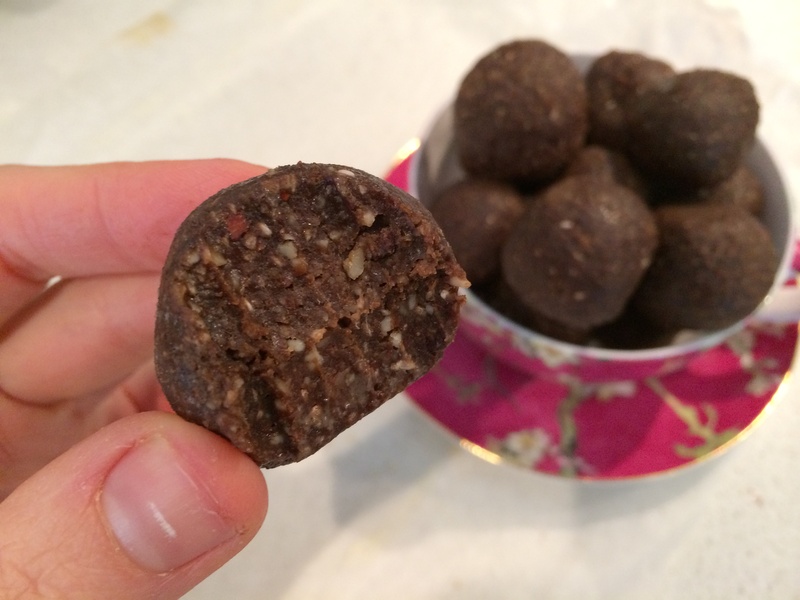 2-3 of these sweet chocolatey bliss balls make for the perfect after work or after dinner snack with a cuppa and are completely guilt free!! Happy Baking!!! REMEMBER CHOCOLATE IS NOT AN ENEMY! IT CAN BE YOUR BEST FRIEND!! !